Massachusetts Sen. Elizabeth Warren, a Democratic contender for the party's presidential nomination in 2020, was facing new fallout Wednesday after the Washington Post reported that on a 1986 registration card for the State Bar of Texas she identified as "American Indian." The revelation prompted yet another apology from Warren, who told the Post she "can't go back," and change her decision but that she is "sorry for furthering confusion on tribal sovereignty and tribal citizenship and harm that resulted." During a gaggle with reporters on Capitol Hill Wednesday, Warren apologized further for "not being more sensitive to tribal citizenship and tribal sovereignty." "I really want to underline tribes and only tribes determine tribal citizenship. It's an issue of tribal sovereignty,” she said. Asked why she listed herself as “American Indian” on the form, to begin with, Warren explained “this is our family story" and did not rule out that there may be other similar documents. "When I was growing up in Oklahoma, I learned about my family the same way most people do. My brothers and I learned from our mom and our dad and our brothers and our sisters. They were family stories," she said. "But that said, there really is an important distinction of tribal citizenship. I'm not a member of a tribe. I have apologized for not being more sensitive to that. It's an important thing." Warren continues to insist that she did not use her background to try and get ahead, saying that claim, often repeated by President Trump, has been fully investigated. "It has now been shown completely that nothing about my background ever had anything to do with any job I got in anyplace. It's been fully documented. There's no evidence of it," she said. Senator Elizabeth Warren (D-MA) walks to a meeting on Capitol Hill, Nov. 14, 2018. ABC also asked if Warren self-identified as American Indian on any other forms in the past, a possibility she did not rule out. "So all I know is during this time period, this is consistent with what I did because it was based on my understanding from my family's stories," Warren said. A spokeswoman for Warren's presidential exploratory committee also released a statement Tuesday confirming the details of the Post report. "As Senator Warren has said she is not a citizen of any tribe and only tribes determine tribal citizenship. She is sorry that she was not more mindful of this earlier in her career," Warren spokeswoman Kristen Ortham wrote in an e-mail to ABC News. The controversy arises just days before Warren is set to make a major announcement this Saturday in Lawrence, Massachusetts, before embarking on a campaign swing through the early voting states of Iowa, New Hampshire, South Carolina and Nevada. It also comes the week after Warren made a personal apology in a phone call to John Baker, the principal chief of the Cherokee Nation, for her decision last year to take a DNA test to prove her Native American ancestry. Recounting a conversation she had last week with Chief Baker, Warren said she told him "I am sorry, that I extended confusion about tribal citizenship and tribal sovereignty. And for harm caused. I am also sorry for not being more mindful of this decades ago." A spokeswoman for the Cherokee Nation also confirmed to ABC News last week that the call took place. Despite the recent controversy, a September 2018 Boston Globe investigation found that any claim to Native American history did not factor into Harvard University's decision to hire Warren as a law professor. "At a time when Democrats want to make an argument on integrity this hampers her ability to do just that," ABC News Chief Political Analyst Matthew Dowd said in an interview, "And when electability is a key determinant for Democratic primary voters, Warren is losing an ability to make that argument. It isn’t a fatal wound, but certainly put her at a disadvantage in a crowded field." National Republicans have seized on the latest controversy surrounding Warren. "For the seven years this has been in the news, Elizabeth Warren has refused to apologize. Now, four days before her formal presidential launch, she’s issued a politically opportunistic apology that doesn’t go nearly far enough. 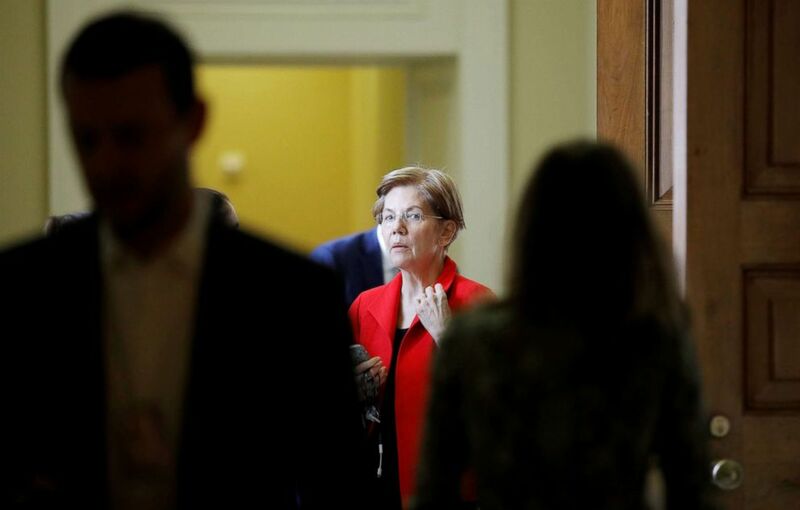 Warren pretended to be a minority to climb the Ivy League ladder – a lie that will continue to haunt her presidential ambitions," Republican National Committee (RNC) spokesman Mike Reed wrote in a statement released Tuesday evening. On Wednesday, RNC Chairwoman Ronna McDaniel filed a grievance against Warren with the State Bar of Texas. "Attorney Warren should be disciplined for lying and failing to correct a misrepresentation she made on her Texas Bar registration card," McDaniel wrote in the letter.